Successfully Added Wuben G339 Mini LED Flashlight - CREE XP-G2 LED, Li-Ion Battery, 130 Lumen, 50,000 Life Span, IPX8, Stainless Steel Body to your Shopping Cart. Wuben has been lighting up the world with their stunning flashlights since the early 80's and have a reputation for synonymous with quality. The G339 is a mini-flashlight that is som compact it can be worn as a necklace or attached to your key-chain so you'll never be without a light. This 130 lumen flashlight uses a 10180lithium-ionn battery that is rechargeable via a micro USB port and brings as much as 6 hours of light from each full charge that only takes a single hour. Protected by a stainless steel body and featuring rubber 'o' rings this mini patented torch has an IPX8 waterproof rating so can be totally submerged and still work. The small flashlight is easily turned on by simply rotating the head gently and brings a total of 130 lumens which is perfect for if you're caught out in the dark and need hand finishing the keyhole or want to illuminate a dark street on the walk home. 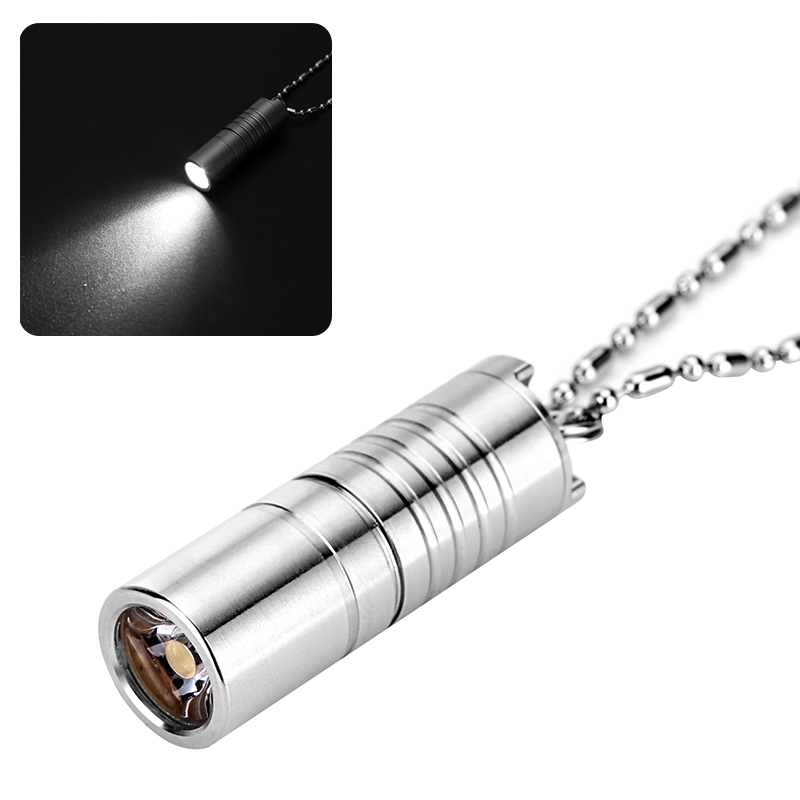 With a stylish minimalist design you will hardly notice you have this flashlight with you and it can be easily worn as a neck chain, key ring or slipped into your bag or wallet making it an accessory that is just too good to ever be left behind. The Wuben G339 Mini Flashlight come with 12 months warranty, brought to you by the leader in electronic devices as well as wholesale LED flashlights and torches..